Ever since I shifted here in Kolkata, from a city like Mumbai, there have been many things that I have gained emotionally. 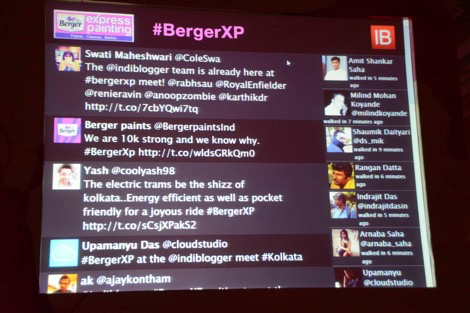 But talking about the things I lost, a regular Indiblogger meet might just make it to the list. 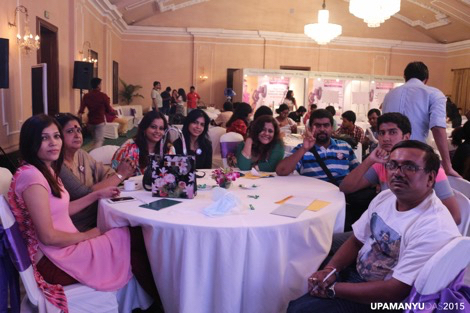 These fun filled meets takes a blogger offline, and forces, an introvert Blogger to interact and discuss ideas with people of similar mindsets and stature. 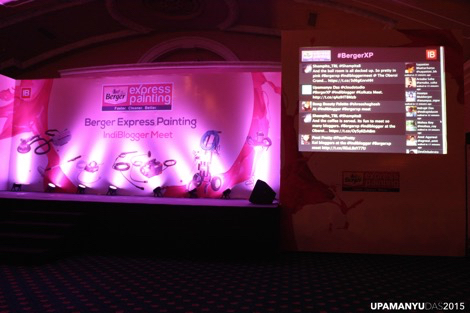 The event was held at the Oberoi Grand & was sponsered by Berger Paints. First let me start by telling that the Indiblogger Meet Kolkata 2015, has been a huge success. The attendance was around 80, which is great for Kolkata. But during the event, the hosts also mentioned one very important thing, that they will get enough enthu to visit Kolkata regularly, only if more and more quality blogposts keep coming from Kolkata. That is a point, we being bloggers from Kolkata should ponder upon. 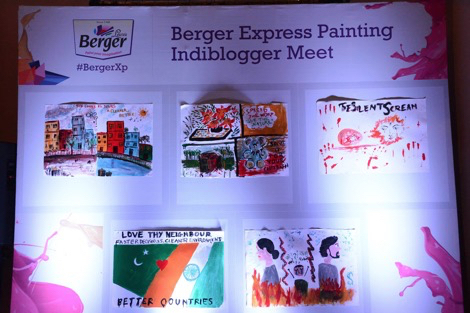 After attending two successful Indiblogger meets at Mumbai, ever since I shifted to Kolkata, I have been craving for an Indiblogger meet in the city. 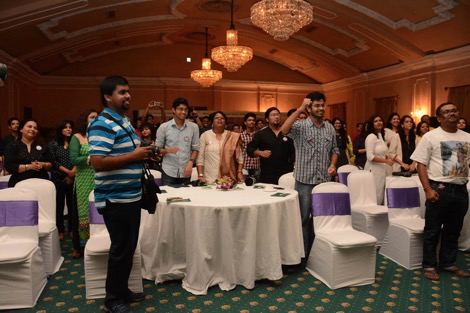 So on 28th of August when I received a mail inviting me to the meet of 12th September, (which I would have deleted if not for the IB logo in the senders box) I was overwhelmed..
Coming back, the meet started with a fun session of everyone singing the song ich will and pumping up the energy. This was followed by a general set of random introductions by some talented bloggers from Kolkata. Above is a picture of some of them, I took during the event. Then, the person from Berger took the stage and explained in detail about the new technologies in the BergerXP painting experience. Then came the fun part, all bloggers were divided into groups of eight, and had to gear up and sand of the plaster from a piece of board. Man, it was a dusty affair. This was followed by another fun filled activity of painting group on a social cause. 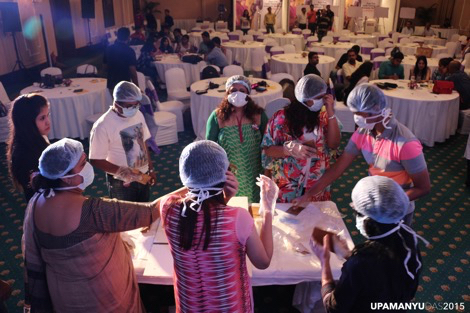 Coming to an end, the prizes were distributed, which was followed by a mediocre tasted main-course dinner, and superb desserts (Malpua with Rabri & Chanar Payesh). At last the day ended on a good note, by taking a group picture while hooting energetically. We also requested the IndiBlogger team to visit Kolkata more often, and them they promised to come back as soon as possible. Published on September 14, 2015. Updated on September 14, 2015. It was indeed a wonderful evening. Loved the way you have described the event. 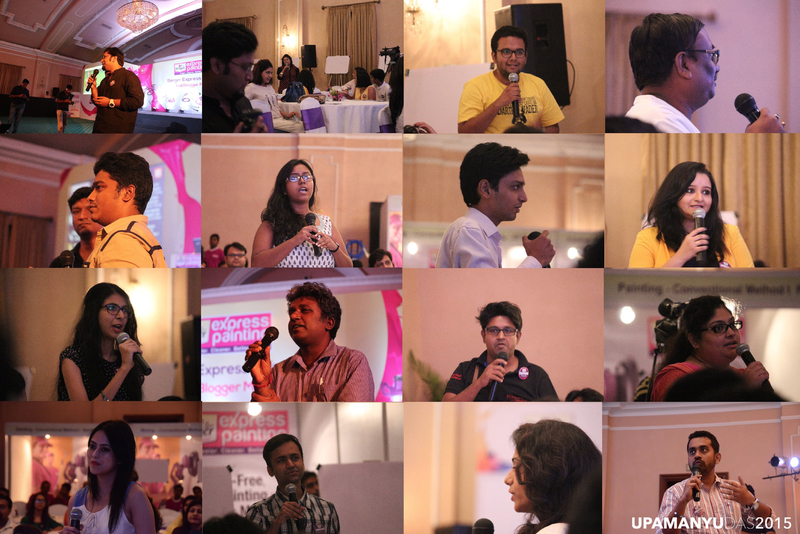 Hope we have many more such Indimeets in Kolkata in the forthcoming days. Sure Purba. 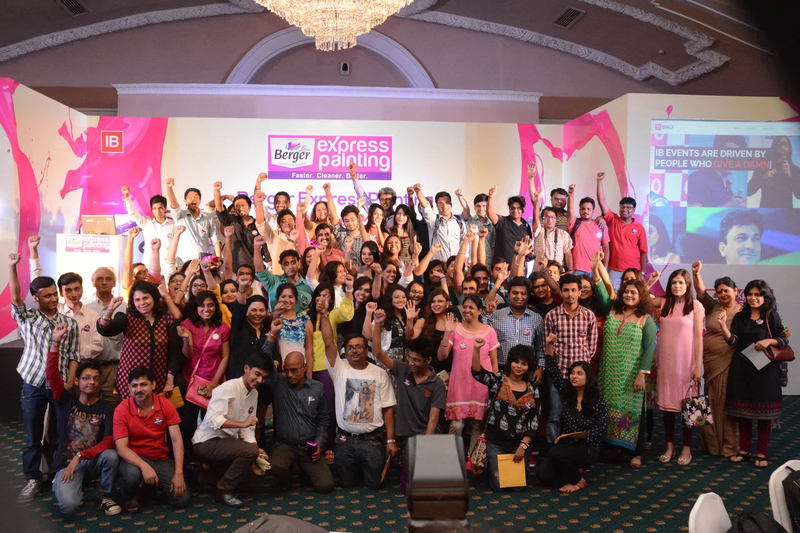 We Bloggers from Kolkata should meet a lot and more often at these kinds of events to intermingle and exchange ideas.